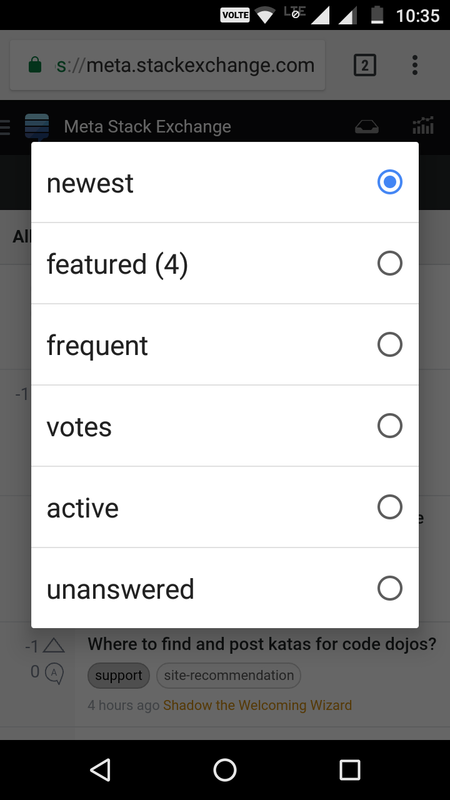 In the mobile view on the Questions tab, if I select any option in the show it will redirect to newest option only. For an example, if I select featured oprion, it will redirect to newest only. How can I be “on the Featured tab” when there is no Featured tab?